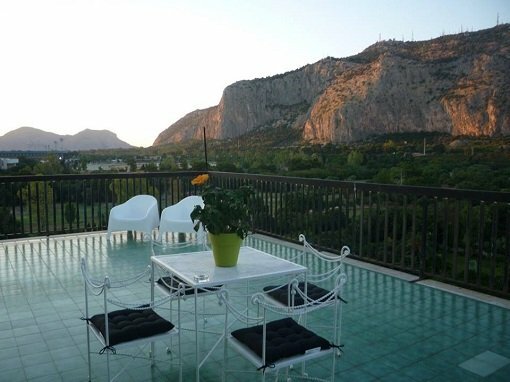 A modern and bright apartment with an ample panoramic roof terrace overlooking Mount Pellegrino and the Favorita Park in Palermo. 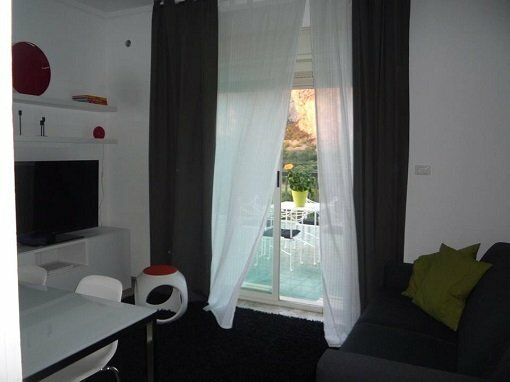 This modern apartment in Palermo boasts amazing views from the ample terrace and can be accessed via an elevator. 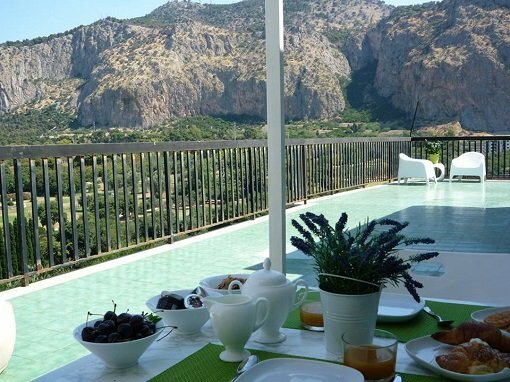 With a comfortable bathroom, a fully equipped kitchen and a modern design, Gebel Grin is the perfect location for a laid back holiday in Sicily’s capital. 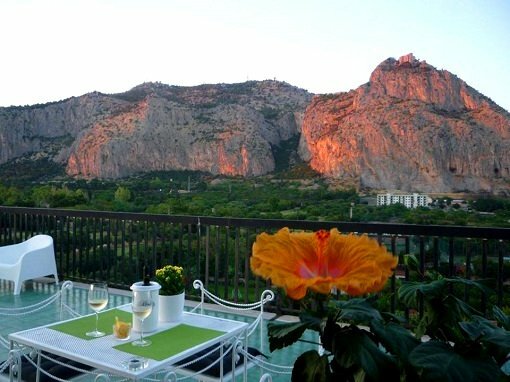 Great for exploring Palermo and its beautiful beach resort Mondello as well as the impressive Mount Pellegrino by bike. 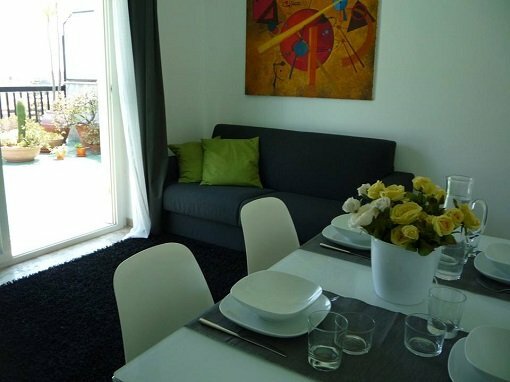 The apartment is accessible via an elevator where you can enter your bicycle (on the rear wheel). The nearest airport is Palermo. Bus connection (Prestia & Comandè) to the city. Trains are currently out of service. Taxi sharing (€ 7 per person as of February 2018) available at the airport outside of the arrival terminal next to the bus stop. The nearest railway station is Palermo Centrale (check the timetable on www.trenitalia.com), while the subway (“Metropolitana”) station Imperatore Federico is within a short walking distance. The public bus line AMAT connects the city to Mount Pellegrino (bus line 107 from Via Libertà to Piazza Crispi and then bus line 812 to Monte Pellegrino) and Mondello beach (bus line 603 from the metro station or bus line 806 from the nearby bus stop in Via Libertà), for more info click here. The nearest ferry port is Palermo. Connection to Naples, Cagliari (Sardinia), Genua and Civitavecchia (near Rome). If you require a transfer to destinations that are not within easy reach by public transport or if you travel with a group of friends, we can arrange a private bike shuttle. Get in touch for more info. 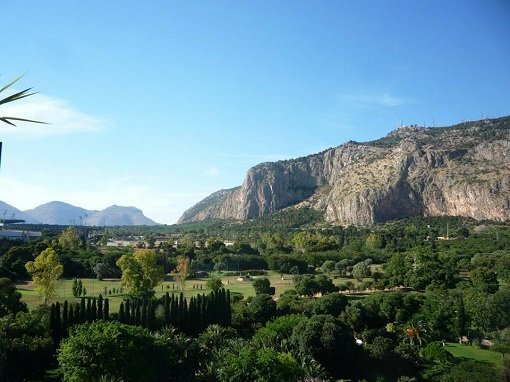 Mountain bike tour of Palermo – 30 km of fun between the trails of Mount Pellegrino and the fishing village of Mondello starting from your doorstep! Relax on the panoramic terrace and take in the amazing views while sipping a glass of wine!